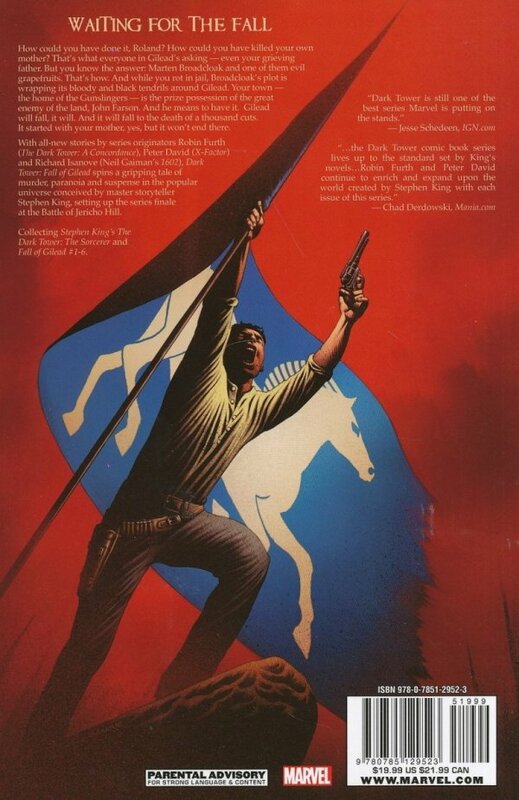 A horrified Steven Deschain learns that the deadly seeing sphere called Maerlyn's Grapefruit has been stolen from his chambers! Far worse, when he enters his wife's room to arrest her for the theft, his son Roland is standing over her body with a gun in his hand. The youngest gunslinger has perhaps committed the most hideous crime of all! Continuing the epic saga based on the best-selling Dark Tower novels by the master Stephen King, it's the most incredible storyline yet. Plus: In SORCERER, learn Marten Broadcloak's deadly secret agenda and true goal is not to serve the Crimson King, but to climb to the top of the Dark Tower itself and become the overlord of all existence! 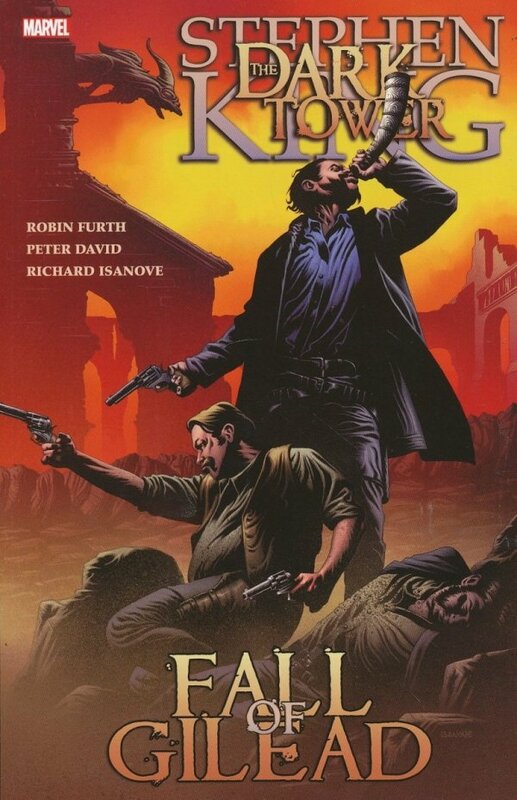 Collecting DARK TOWER: SORCEROR and DARK TOWER: THE FALL OF GILEAD #1-6.